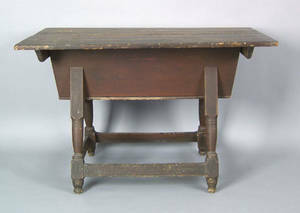 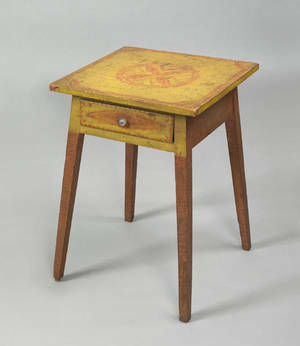 Pennsylvania painted poplar and pine dough box on stand, ca. 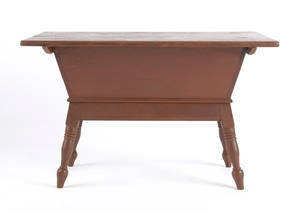 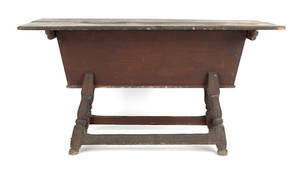 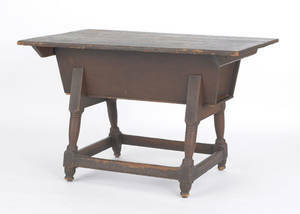 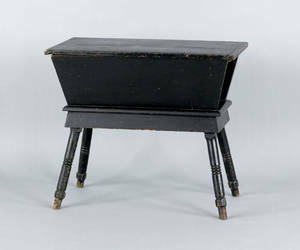 1790 , with a lift off top and splay leg base with stretchers, retaining its original red painted surface, 29" h., 46" w., 31" d. Provenance: Edgar & Charlotte Sittig. 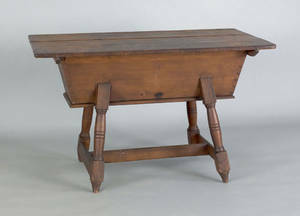 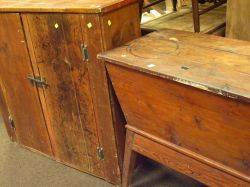 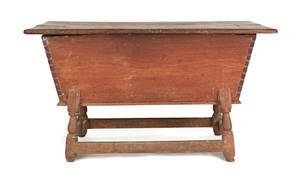 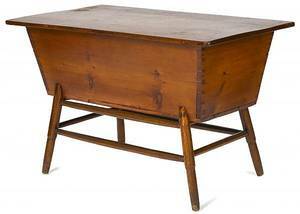 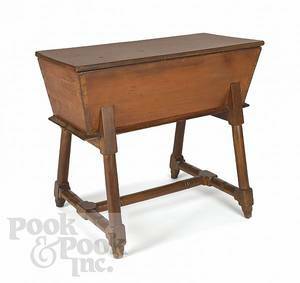 Pennsylvania painted pine dough box on stand, 19th c.
Country Pine Dough Box on Stand and a Pine Two-Door Cupboard.